Scott is volunteering on our Sports Coaching project and assisting with IT mentoring in Ghana. “It's been a busy few weeks. I think that what I have struggled with the most here is the lack of time to oneself - I guess that is one of the curses of fulfilling more than one volunteer role with the charity but both roles are great and they are most certainly very rewarding. I'll admit that it did take a few days to find my feet here, and really a week or two in order to really work out what I was doing. I'm now into week 7 of my 10x week stay here, and things are really starting to take hold... It's such a pleasure to work with such an established/excellently run charity. A weekday typically starts at 6:30am - a chorus of goats and roosters serve as a natural alarm clock, and as a group of volunteers, typically share a breakfast together at 7am. Mealtimes are invariably social affairs here - one subtle difference between here and home - and it’s very nice to share food and company with a group of people three times per day. 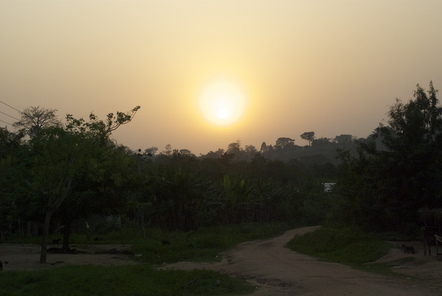 Our village is in a very lucky position, as they are one of the few communities who have electricity readily available. The power is still... intermittent to say the least (the power usually drops for a few hours each day, as it does everywhere in Ghana), but we certainly have enough power to accomplish many things. The village primary school includes a computer lab - 15x donated laptops that were of reasonable quality. I spent my first two weeks of time here repairing and tweaking these machines so that we can get the most out of them; we initially had 8x working computers when I started, and we’ve now increased the number to 13, and counting. I was initially worried that the IT Mentoring role here would exclusively involve classroom teaching, but fortunately there is a huge amount that can be accomplished outside of lessons, if teaching isn’t your cup of tea. (Although, if you do happen to be passionate about teaching, then assistance is welcome!). 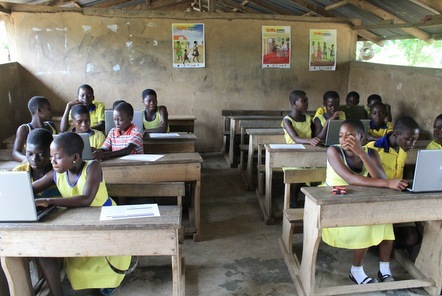 In Ghana, ICT is a compulsory subject, even for the schools that do not have access to computers/electricity. The current national syllabus is (rightly) designed for electricity-free schools - but this means that schools with computers are frequently sticking to a teaching a drawn out, slow lesson program - and not really capitalising on huge improvements in ICT literacy that are just waiting to happen. So, I’ve been working closely with the ICT teacher here (as well as the headmaster and other parties) to develop a ‘toolkit’ of fun, interesting resources to use in the classroom - to try and find new ways to teach the curriculum in fun and innovative ways. For me, having computers in the classroom is as significant as having a car when learning to drive: you theoretically *could* learn something about it through books and lessons, but competency skyrockets once you have the car itself. hopefully, with the right resources (online and offline games, tutorials, etc), we just might help to improve English and Mathematics skills while we are at it. Of course, most IT technicians end up as ‘jacks of all trades’, and there’s certainly been a stream of machine repairs and office work that I’ve enjoyed completing on the side. There’s also much to be done in terms of web design, should a volunteer possess those skills. My other role here in Ghana has consisted of sports coaching, and this has been enormously rewarding! Primarily, I’ve been involved with football coaching (Ghanaians are crazy for football!) although other sports expertise is welcome (volleyball is enormously popular here, and yesterday I introduced a group to dodgeball, and they loved it). Since my time here, I’ve started a new women’s football team, which is only in its infancy, but getting it started has been great! The girls here are often left out of sporting and social events in their community, so it is wonderful to give them something to look forward to twice per week, and an activity which they can call their own. 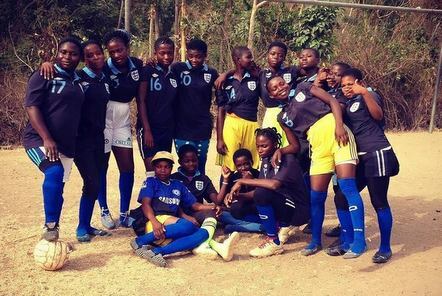 Many of the girls have not only never played football before, they’ve never participated in any sort of team activity. So we have a very long way to go, but the girls are learning every day, and our first ever friendly match against a neighbouring village is scheduled in two weeks’ time. I also train a men’s football team, three days per week. The men are enormously responsive and enthusiastic, and they are hugely appreciative to receive some formal training. My team have arranged two friendly matches against other villages so far - and are in the middle of re-registering in a local district league, for some regular home-and-away competition. My guys were wrapped to have their first win (2-1) against a local rival who usually dominate on the pitch! For anyone interested in sports training, I believe it is absolutely key to have each coaching session planned out in advance, so that you can appear confident in your drills/exercises, and win the team on-side. Personally, I allow about 90 minutes of planning each day (for every two-hour session), so that we can keep everyone as enthusiastic as possible, and also harness skills that the team really needs. For volunteers more generally, the best piece of advice I could offer is to work hard but to also keep check on yourself... for it can be easy to over-invest in your work when it is meaningful, and it isn’t hard to catch yourself putting in some very big hours if you’re not careful. Whilst I partly believe that a lot of people underestimate the ‘work’ part of the ‘volunteer work’ phrase, it is also important to take time to rest when you need to - so that you can feel energized and excited about the tasks you are doing. 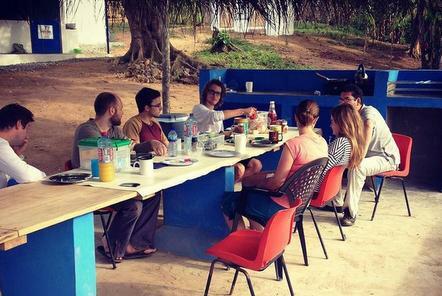 Find out more about our volunteer opportunities in Ghana.